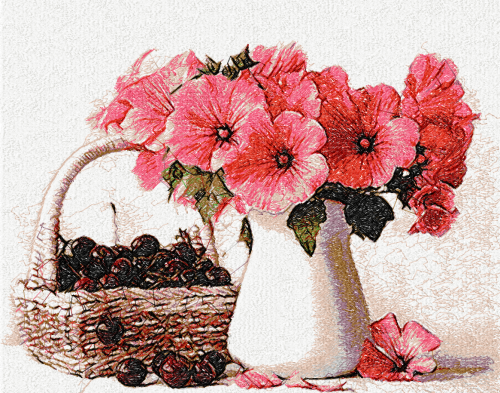 This Is original embroidery sample which is suitable for decoration of work piece for girl. 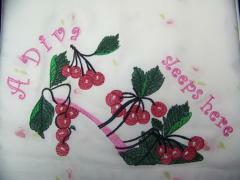 Berry shoes embroidery design combines floral motives and theme of style and fashion. Here we can see stylize woman’s shoe which is made from bright berries and leaves. Picture is added by thematic inscription which let us know that it is used for decoration of pillowcase. 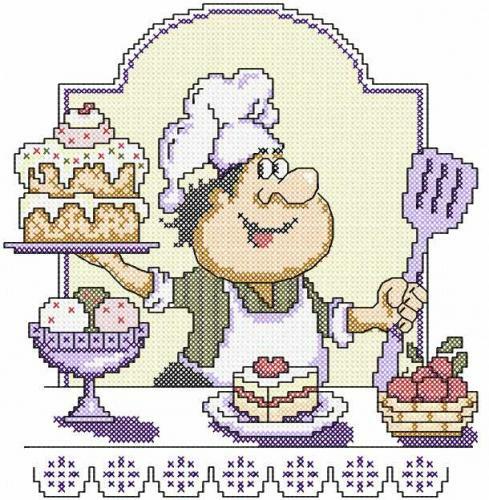 This is stylish embroidered apron for kitchen. It will not just help to protect your dress from stains but also provide great mood till cooking. Its unusual background fabric is used in vice versa color scheme on pocket. 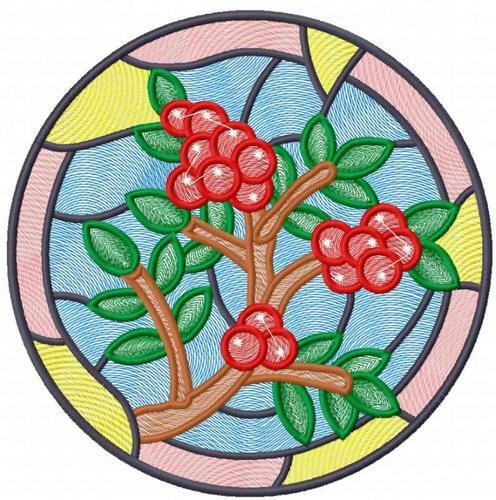 Bowl of cherries cross stitch free embroidery design looks like bright accent on calm surface of apron. Main elements of embroidery and print of fabric are balls and thing branches: they perfectly combine with each other. This close up plan of nice embroidered apron shows how attractive can be practical equipment for cooking. Abstract background in calm color scheme is embellished with bright embroidery made in unusual technique. Picture is added with thematic inscription on work piece. 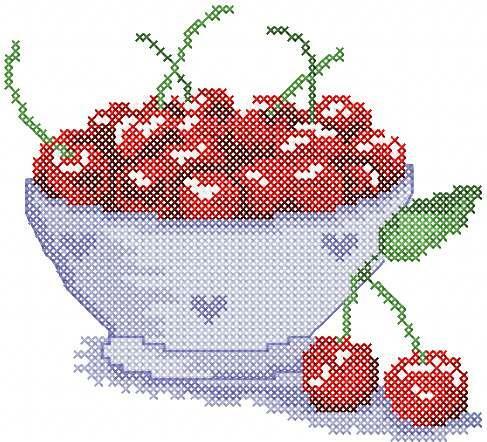 Bowl of cherries cross stitch free embroidery design raises thoughts about tasty food, beautiful garden and generous summer — nice ideas which can be used while cooking unusual and inspired meal!